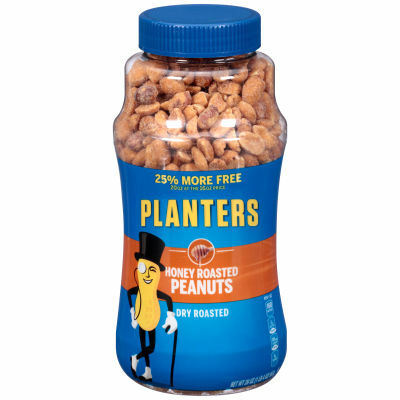 Planters golden honey roasted peanuts with have a delicate sweet flavor and are seasoned with sea salt. High in Flavor| |These peanuts are sweet with a salty edge, dry roasted delicious taste . Enjoy the perfect balance of sweet honey and rich sea salt in each fresh bite of this 20 oz. jar, resealable for ultimate freshness.